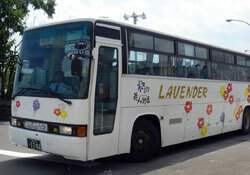 Furano is approximately a 2½hr bus ride or a 2hr and 20min train ride from Sapporo or New Chitose Airport. During winter there is a regular Ski Shuttle from the airport that can be pre-booked through North Country Inn. 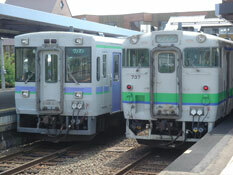 If taking the Bus or JR Train to Furano get off at the Furano JR train/bus interchange. The North Country shuttle bus can be pre-booked a week in advance to pick you up from here. Alternatively you can take a short taxi ride.